In this episode I introduce the member’s program and talk about what I’ve been up to this spring. Tune in to hear about fence building, farm store, cattle search, chicks and more. Kunal Sampat of Sampat Farms and The Raising Backyard Chickens Course joins us for today’s show. We discuss how Kunal started raising chickens, tips for beginners and Kunal’s online course on how to raise backyard chickens. 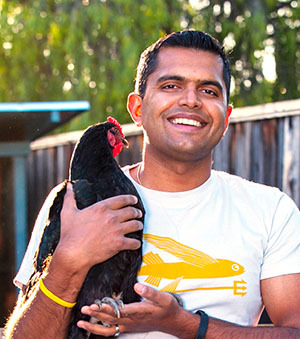 Get $10 off Kunal’s Raising Backyard Chickens Course with code FIREFLY10 – The course includes more than 40 video modules and PDF resources. A great course for getting starting with raising your own backyard flock. Nextdoor.com – a great way to sell your eggs. Garden Netting from Lee Valley – use to keep your chickens out of an area. In today’s podcast I talk about what I’ve been up to on the farm. We’ve passed our farm store inspection and will be open for business next week. I am working on a member’s program for the show which will have exclusive videos, books summaries and more. Stay tuned. 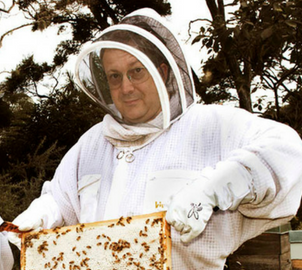 Gary Fawcett of the Kiwimana Buzz Beekeeping Podcast joins us for the first interview on The Farming Podcast. Learn about how Gary started beekeeping and his advice for new beekeepers.